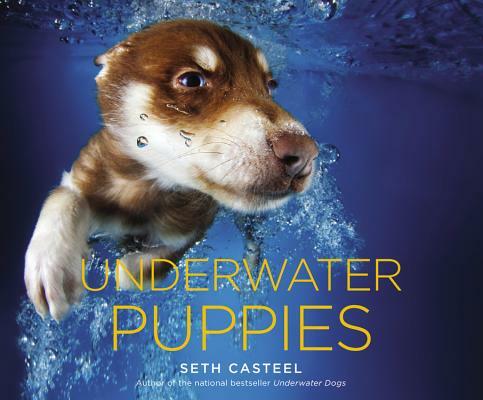 New York Times bestselling author and photographer Seth Casteel's follow-up to the phenomenal Underwater Dogs -- now with puppies. The world fell in love with swimming canines in Seth Casteel's first book, Underwater Dogs. Now, in more than 80 previously unpublished portraits of underwater puppies, we see man's best friends at their most playful and exuberant. Each vibrant and colorful underwater image shows off the wild and sublime range of emotions of puppies, cute and irresistible to the very last. Seth Casteel is the author of the national bestseller Underwater Dogs, an award-winning photographer with a passion for working with animals, and an established member of the animal rescue community. His photographs have been featured in media including the New York Times, National Geographic Magazine, Morning Edition, the Washington Post, The Today Show, and Business Insider, as well as on the front page of outlets AOL, MSN, Yahoo, and hundreds of others. He lives in California.